Diana Marua at one point in her marriage to Bahati walked out of her matrimonial home with the gospel singer. 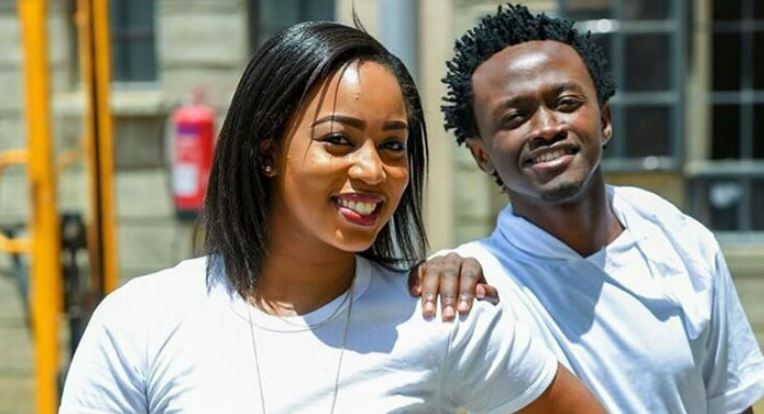 The little-known details of their near-breakup emerged from this week’s episode of their reality TV show Being Bahati. In the eighth episode of the show, Diana Marua disclosed how she packed her bags and left Bahati in the cold for about three weeks. According to Marua, she was fed up by Bahati’s constant absence owing to his busy celebrity schedule that saw him spend little time at home while she struggled as a new mom with their daughter Heaven. During the Sunday episode of Being Bahati, Diana was filmed packing her suitcase and leaving hastily after an argument with Bahati. Diana also opened up about how she felt like her life had come to a halt after giving birth to Heaven. In the episode, Bahati was also captured speaking with fellow gospel singer Mr Seed about Marua leaving.